It’s been a while since we posted a deal to Shanghai from Boston (since April, 2015 to be exact). Please go and eat a lot of xiao long bao for us if you go. Valid for travel on the outbound from January 11th, 2015 – February 13th, 2015 or March 8th, 2015 – April 30th, 2015 to China and January 21st, 2015 – February 4th, 2015 or February 25th,2015 – May 31st, 2015 from China for Monday through Thursday departures with a 3 day minimum stay. Must purchase at least 3 days in advance of departure. 17,992 miles or 4.9 cents per mile. 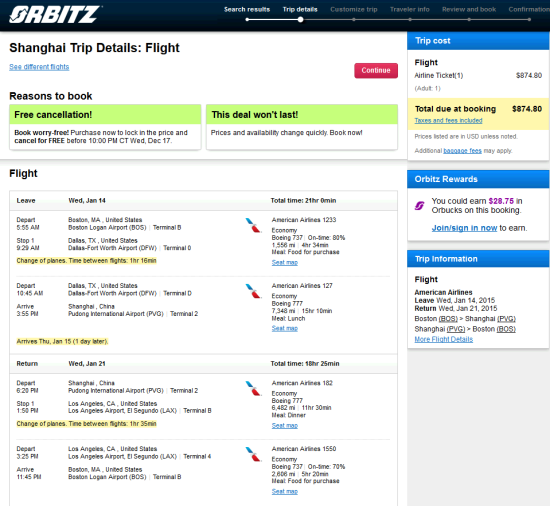 There are itineraries that are $860 but they are marketed as the same flight # from Boston to Chicago to Shanghai. If you care about miles and you should because it’s the least expensive way to travel, American and everyone else will credit it as Boston to Shanghai. When that happens, you will lose out on a few thousand miles depending on routing. While you might save $15, you will lose on miles that at minimum is worth $30. 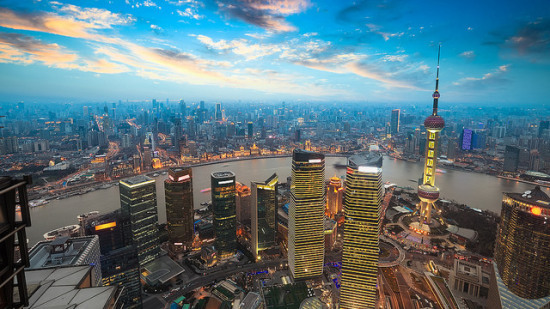 One Response to "American – $875: Boston – Shanghai, China. Roundtrip, including all Taxes"
If the sole reason is a MR, then this is a better return IMO.